Friday morning, as I was heading in to work, I noticed that they had removed a sidewalk across the street from my office. My office sits at the site of the first Presbyterian church in town back in the early days of the city. I have seen pictures of it and it was pretty much a dug out. I didn’t think much of the tear out because I figured it would be covered by the time I left work. When I left work however, about 1/3 of it was still open so I slammed on the brakes, found a place to park, and Maurice and I went to work. My second swing (really!) produced a signal just north of pull tab. 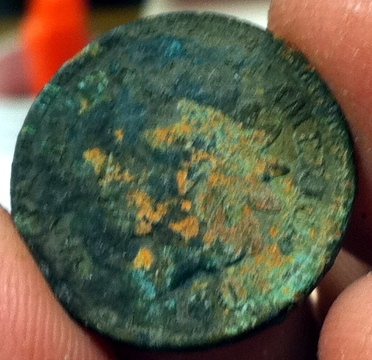 I decided to dig it and 4 inches down, I found a coin slightly larger than a U.S. nickel and made of copper or bronze. To say I was excited is an understatement. Images of Seateds and gold coins dancing in my head, I continued the hunt for another hour and a half. Unfortunately, nothing else came out. The site was heavily iron laden as multiple railroad lines ran through here until about 10 years ago. It was really cool because I hit a couple of very old wooden foundations. 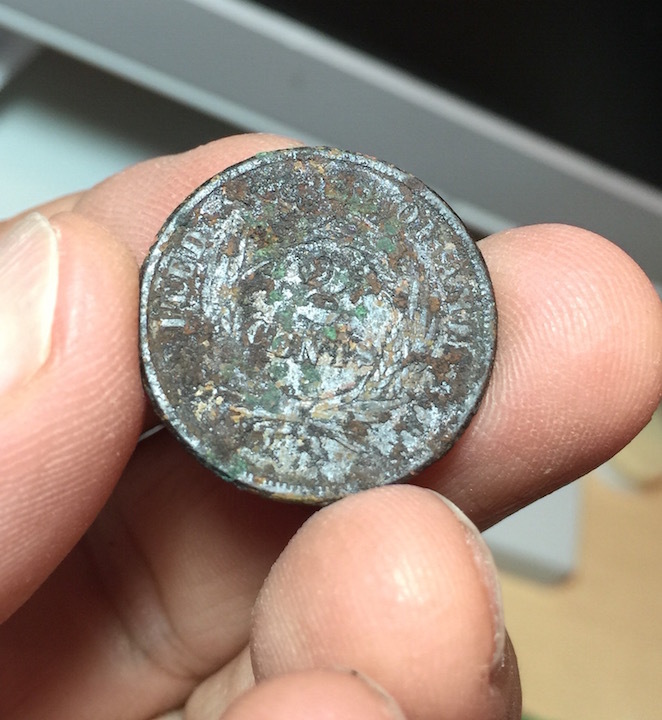 Thinking I had a large cent, I went home and began the process of cleaning the coin. To my surprise, what was revealed was, in my opinion, something cooler than a large cent: a 2 cent coin! I tried cleaning it further with masking tape and the freezing method which removed the dirt but not the iron encrustations. 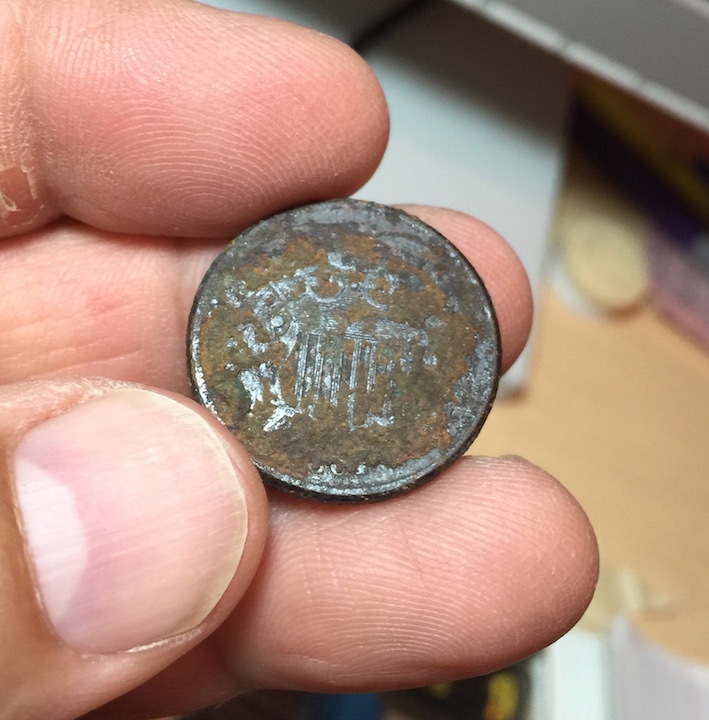 Finally, today, I soaked the coin in WD-40 and managed to expose a bit of the date: 1864, my oldest coin to date. I am doubly proud of having found this coin in my city. 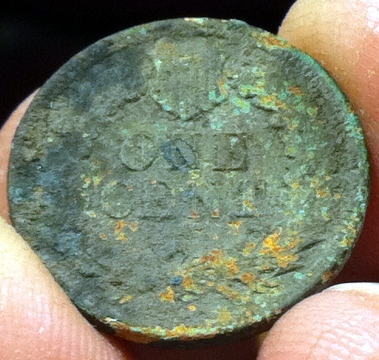 This coin was dropped by one of Wichita’s early inhabitants. I wonder what was going through his or her head as they walked along, possibly to attend church just a few yards away. I am still missing that Seated coin but this is definitely one off my list. 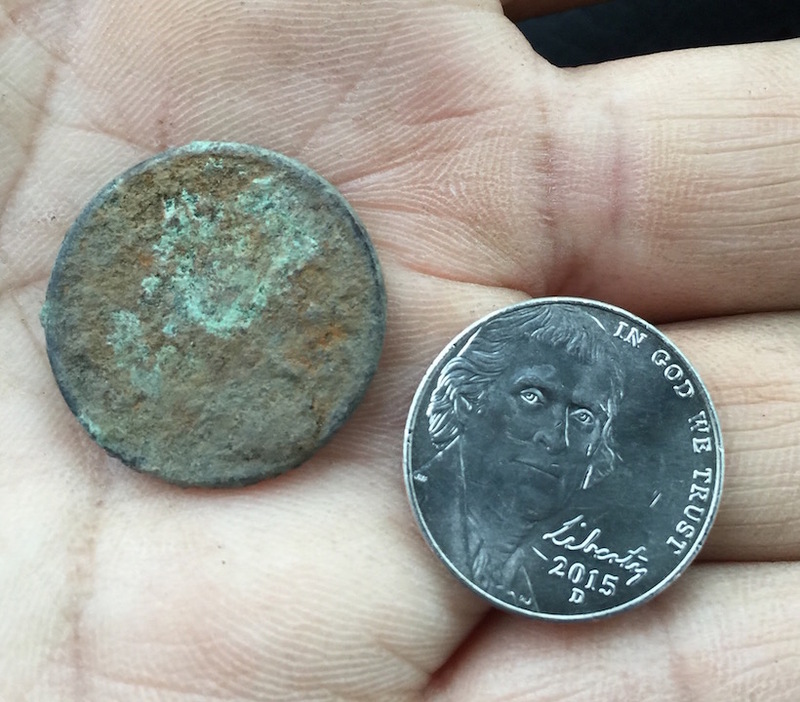 It almost makes up for the total lack of detecting for me this year.